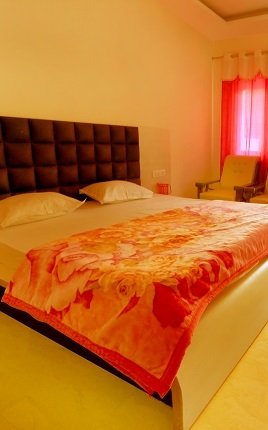 For Rishikesh hotel booking, we offer a range of stylish and comfortable rooms at affordable prices. The first thing you will notice about our rooms is the breath-taking views of our beautiful organic gardens and the mountains beyond. Our standard rooms feature a balcony/terrace facing the gardens and mountains. The balconies are a great spot to watch exotic birds in the trees or to sit back reading a book. 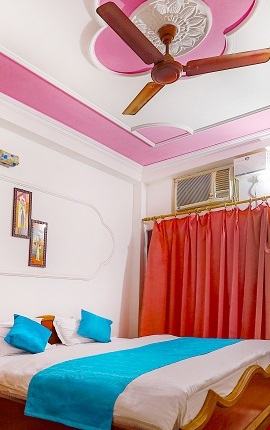 Comfortable beds and plenty of storage make this a great Rishikesh hotel price. Ideal for small families and couples. The cottage room can accommodate couples comfortably or small families with one extra bed. The cottage has a beautiful garden view with seating area. Cottage guests enjoy all the amenities of the main lodge resort including comfortable beds, room service and Wi-Fi. 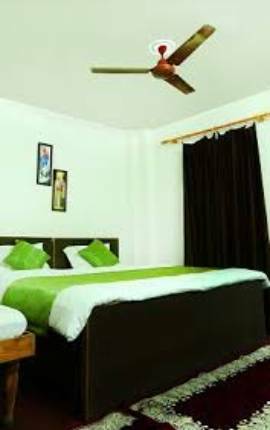 Our Deluxe Room features a luxurious King Size bed with comfortable pillows, cushions, mattresses, premium bedding and AC for the hotter months. Relax on your private balcony with mountain views and order some room service for a real special stay.